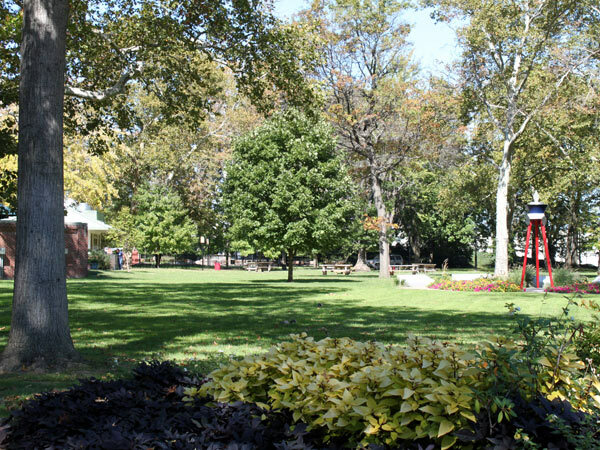 Originally encompassing eight acres, this public park was conceived by William Penn as one of the city’s five original squares. Renamed in honor of Benjamin Franklin in 1825, it was used as a communal grazing pasture and a livestock market through much of the 18th century, and a burial ground for the German Reformed Church between 1741 and 1835. Situated in the oldest part of the city, Franklin and Washington squares were the first to be redeveloped into public parklands. In 1815, the square was leveled, planted and enclosed in an iron fence. A round stonework fountain with forty jets, encircled by iron railing, was erected at the square’s center in 1838. It is the oldest fountain in the four remaining Penn Plan squares. Over time, houses in the area were replaced by warehouses and factories, instigated by the construction of the Benjamin Franklin Bridge between 1922 and 1926, which abuts the square’s eastern border. By the mid-20th century, the square was flanked by highways and in poor condition. 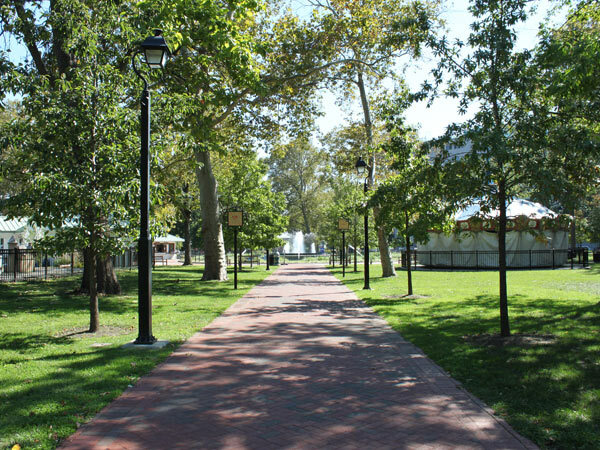 The progenitors of Independence Mall re-envisioned it as the northern terminus to their newly created Modernist linear park. 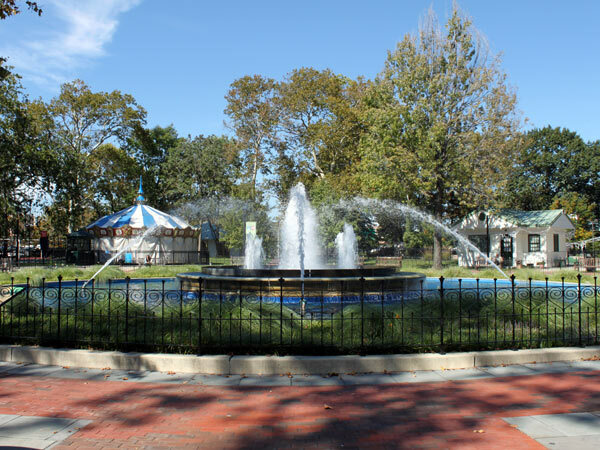 It remained isolated and derelict until 2006, when a major renovation transformed the square into a playground with a large carousel and miniature golf course. 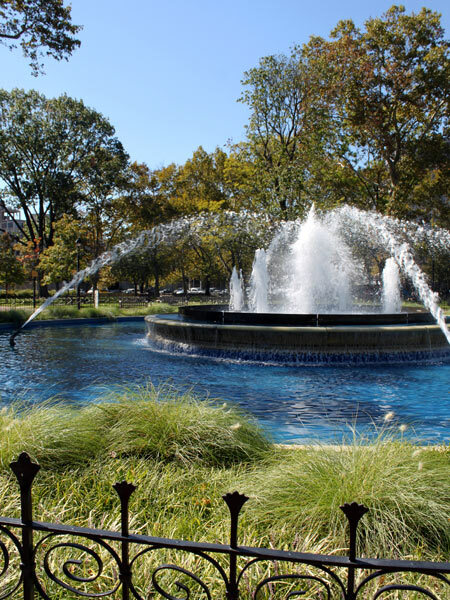 Now, measuring 7.5 acres, Franklin Square is an open space with trees, paved walks connecting the fountain to the park's four corners, benches, sculpture, and the recently-restored central fountain. It was listed in the National Register of Historic Places in 1981.